Now he obviously hasn’t taken the role yet, and there’s no indication that he is going to, but it’s pretty amazing that showrunner Scott Gimple and whoever else from The Walking Dead didn’t combine their Negan offer with a gag order. I mean, it’s no secret that Negan is coming, but I’m sure they’d want to keep any and all casting news under wraps until something more concrete can be made of it. “If anybody asks, Kevin, just tell them you’re playing a guy named Schecky,” would have been my executive advice. Now, I certainly hope he does take the part, as Durand is an actor entirely capable of hitting characters in the face with a barbed-wire baseball bat. 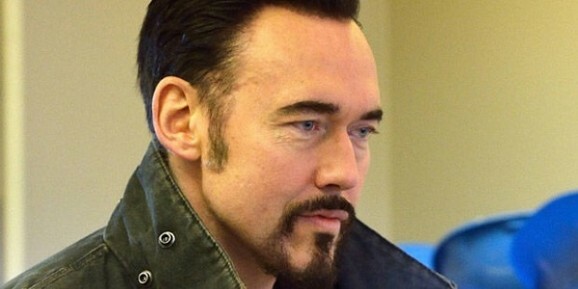 He brings a thoughtful machismo to the role of Fet on The Strain, and I hope he sticks to projects that matter, unlike The Mortal Instruments and Winter’s Tale and a couple of his other recent flicks. He’s a great actor to put in the spotlight, especially when he’s trying to burn someone’s skin off with the spotlight’s hot bulb. 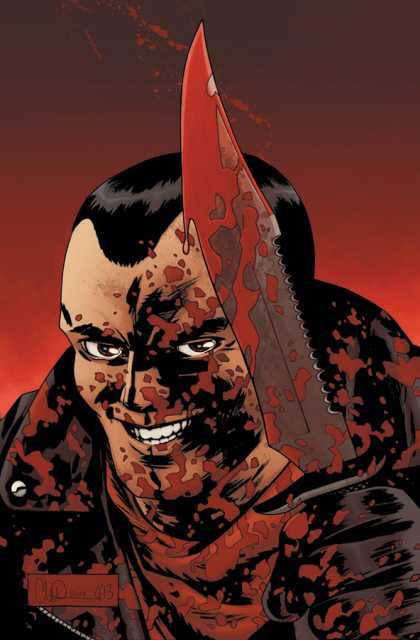 For those unaware, Negan made his debut in issue #100 of The Walking Dead as the leader of the Saviors, a community that exacts tribute payments from surrounding survivor groups, under penalty of…bad things. It’s no good going into spoiler territory here, as the series will probably change the character up a bit by the time he makes his screen debut. But we can expect absolute horror once his face shows up for the first time, regardless of what actor is playing him. Catch up with The Walking Dead‘s Season 4, currently on Netflix, and stay tuned for its Season 5 premiere starting Sunday, October 12.